St. John’s Conservatory Theater, now in its fourth season, is seeking talent for their original musical ORCHARD OF HIDE & SEEK, which will open at the newly renovated all-digital OFA Auditorium this June for a two-week run. Auditions will be held Saturday, April 29th at 6:00 pm at the St. John’s Parish House on the corner of Knox and Franklin Street in Ogdensburg. Please arrive 15 minutes early to sign in and prepare a song of your choice to be sung acapella. There are roles for all ages and a variety of talents. Think Wizard of Oz meets Peter Pan Tim Burton-style and acrobats, jugglers, and other variety artists are encouraged to tryout. SJCT principal creative staff includes Producing Artistic Director Mr. O’Donnell, Musical Director and Choreographer Angela Conzone Dwyer, Arranger and Orchestrator OFA Senior Ryan C. McNally, Scenic and Prop Designer Stephen Chambers, Costume and Makeup Designer Karen Fischbeck (Heuvelton), additional Costumes by Ann Losurdo (Oswego), Betsy Hebert (Heuvelton) and Heron Hetzler (Potsdam), Technical Director and Production Coordinator Christopher Dwyer, and Props Master Tonya Ott. Collectively they have over five decades of professional theatrical and academic experience including regional, stock, bus and truck, off-off-Broadway, off-Broadway, and Broadway stages. Tickets go on sale in mid-May and will be available electronically at brownpapertickets.com (under ST. JOHN’S CONSERVATORY THEATER) or at the door the night of the performances. For more information, please visit St. John’s Conservatory Theater’s Facebook page: http://www.facebook.com/stjohnsconservatorytheater. ST. JOHN’S CONSERVATORY THEATER is a non-for-profit company of actors, artisans, and artists. 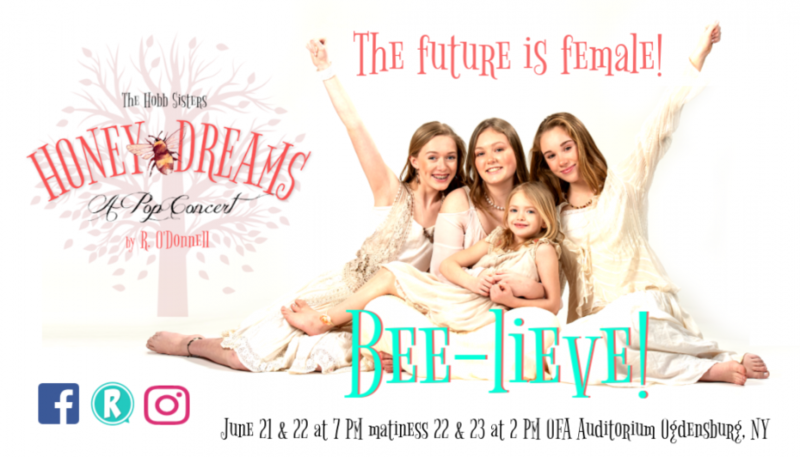 It is our vision to create educational, inspirational, and professional opportunities for local talent of all ages while presenting original musicals based on literature, folklore and legend. This entry was posted in in the news and tagged auditions, comedy, musical, theatre. Bookmark the permalink.